Although I began my initial musical training on 1981 striving towards Rock Music performing, it wasn't until 1984 that I shifted the focus of my playing to Classical Music. The 180-degree musical turn dictated many changes. There were technical matters such as shifting from PICK playing (Rock) to FINGERNAIL plucking (Classical). 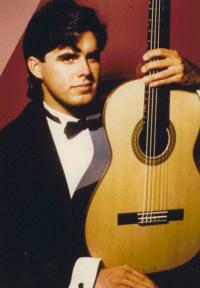 Top Guitar Heroes such as Alex Lifeson of Rush (Rock) were replaced by John Williams, Angel Romero and Manuel Barrueco (Classical). 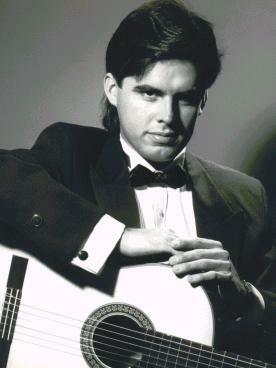 I was instructed by Classical Guitarists Raúl Calderón (Puerto Rico) & Jorge Miller (Mexico) from 1984 to 1985. 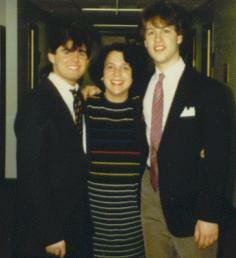 In 1986, I moved to Washington DC's George Washington University, where I studied with Myrna Sislen. She was the first female classical guitarist to give a solo concert at the Kennedy Center. 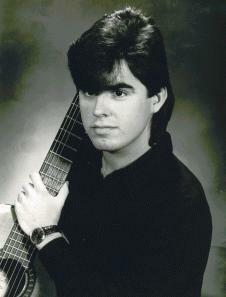 In 1987, I transferred to Manhattan School of Music to complete my music degree under master-guitarists Manuel Barrueco and Nicholas Goluses. I was awarded jury-selected scholarships to both GWU and MSM, and in addition, earned a recognition of "Distinguished Youth of Puerto Rico" granted by the Office of the Governor of the Commonwealth of Puerto Rico. 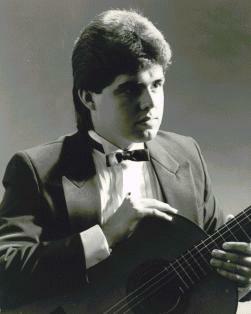 During my years as a Classical Guitarist, I participated in Master Classes of Mde. Andrés Segovia, David Russell, Robert Guthrie, Ricardo Iznaola and the Uruguayan composer, Guido Santórsola. From 1988 to 1990, I performed in private recitals for Henry Kissinger, David Rockefeller, Lord Carrington, Sir Yue-Kong Pao, Donald Petersen and the then President of the Republic of Panamá, Guillermo Endara. These notable individuals where distinguised guests of the Chase Manhattan Bank's Advisory Committee, who contracted me for these performances. 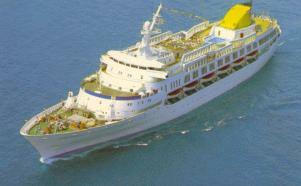 During several months of 1990, I performed aboard the Ocean Princess throughout Uruguay, Argentina and Brazil - a wonderful experience indeed! 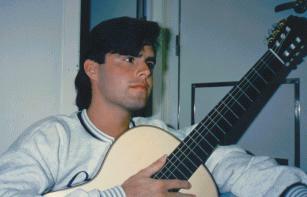 Later in 1990, I performed at the Metropolitan Museum of Art. In 1991, I offered my recital of graduation at MSM, featuring the New York premiere of a new work entitled "Tres Piezas", by Mexican composer, Jorge Ritter. The acclaimed pianist from Canarias, Gustavo Díaz-Jeréz, accompanied me during a reading of Rodrigo's Fantasía Para Un Gentilhombre. 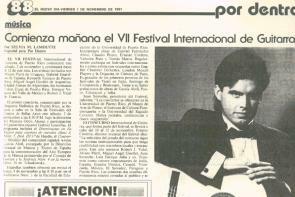 On November 1991, I performed my formal debut recital at the Seventh International Guitar Festival held in San Juan, Puerto Rico. The event was warmly received. ABOVE: Newspaper article announcing the recital. 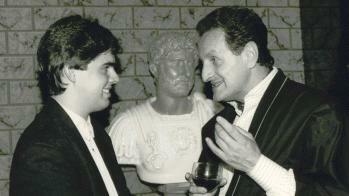 My final major recital took place in January 1992 at the Spanish Institute and was also critically acclaimed. 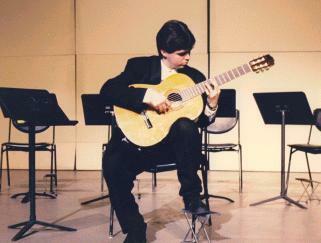 For the next couple of years, I continued performing occassional recitals while teaching guitar to the fine students of the Sunset Park School of Music in New York. Oh, well - this guitar business was at lot of fun while it lasted and, yes, Hunger and Ambition are strong motivating forces! Besides, Who would want to read about a guy sitting in front of the computer, day-in-day-out until dead, blind or both?